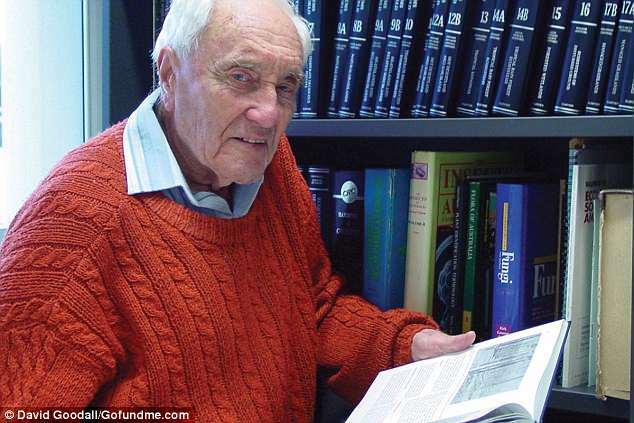 Australia's oldest scientist, wearing a top labelled 'ageing disgracefully', has left the country for Switzerland to end his life at the age of 104, saying he is resentful that he must go overseas to die. 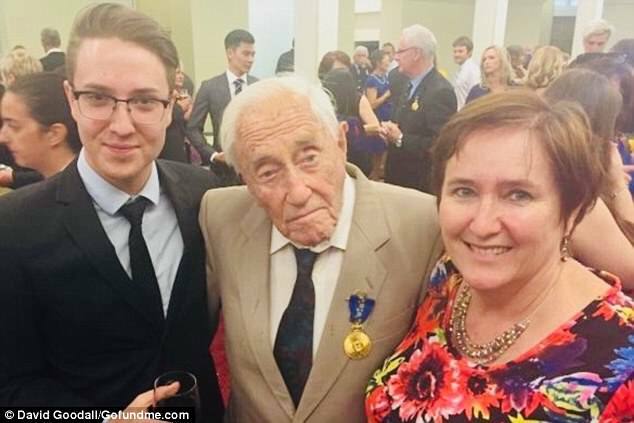 British-born David Goodall does not have a terminal illness but on the grounds that his quality of life has deteriorated he secured a fast-track appointment with assisted dying agency Life Circle in Basel, Switzerland. 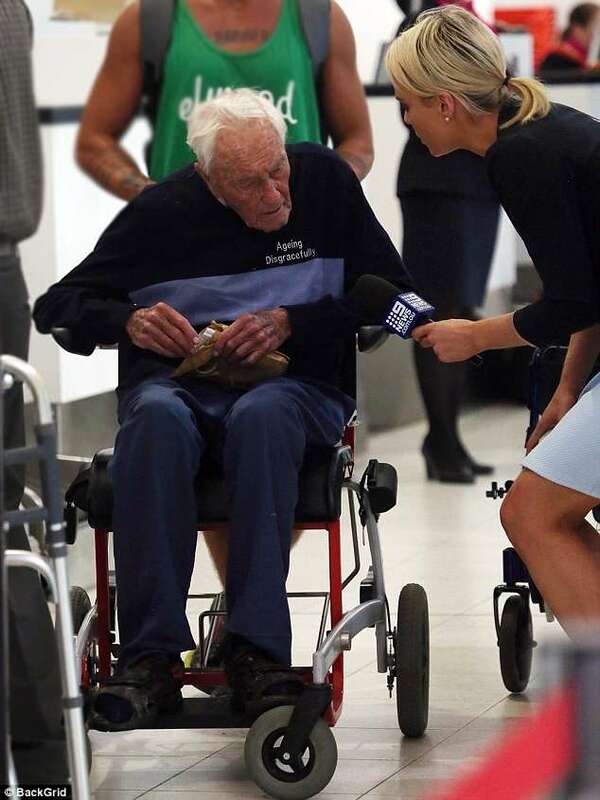 He got on a plane in Perth late Wednesday surrounded by friends and family saying their final goodbyes, including a heartfelt farewell from his grandson, euthanasia advocates told AFP. 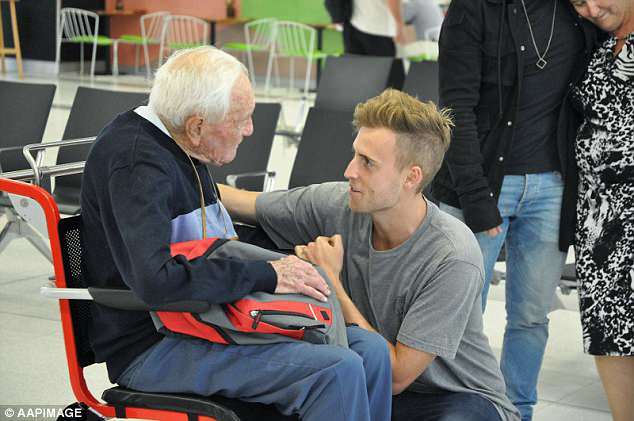 'I should be glad when I get on the plane - so far, so good,' he told 9 News. 'I have some of my family here - there are three grandsons here, I believe and my daughter Karen... It's very good that they shall be here to see me off'. 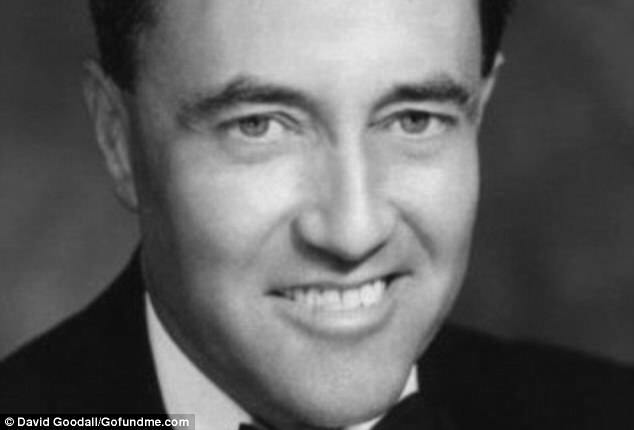 'I don't want to go to Switzerland, though it's a nice country,' he told broadcaster ABC before leaving. 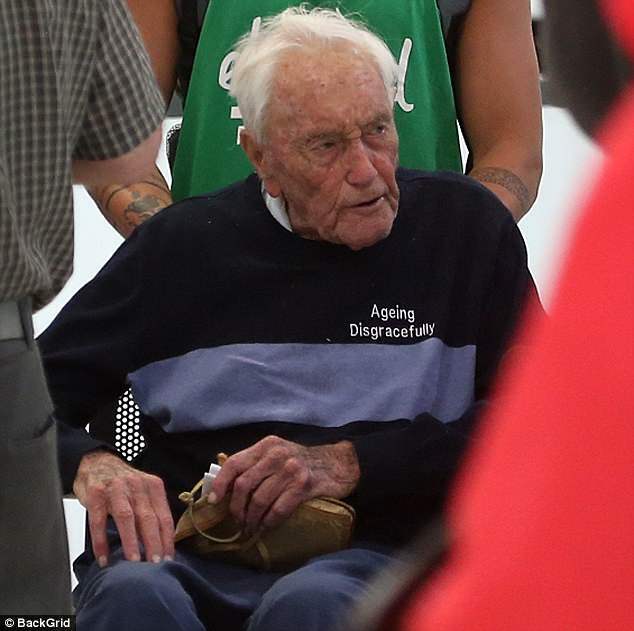 Exit International, which helped Goodall make the trip, said it was unjust that one of Australia's 'oldest and most prominent citizens should be forced to travel to the other side of the world to die with dignity'. 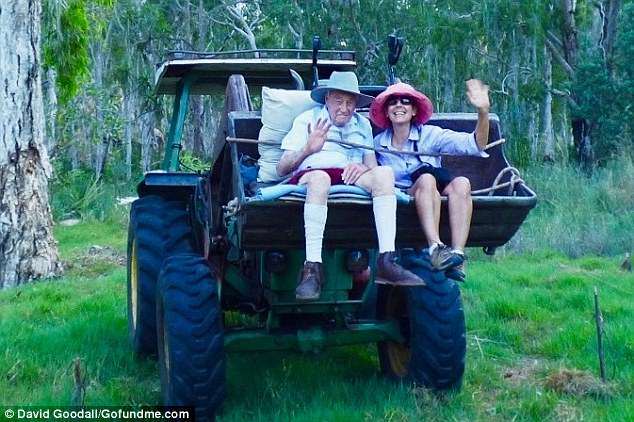 It launched a GoFundMe campaign to get plane tickets for Goodall and his helper upgraded to business class from economy and quickly raised more than Aus$20,000 (US$15,000). 'I would like them to understand it,' he said. 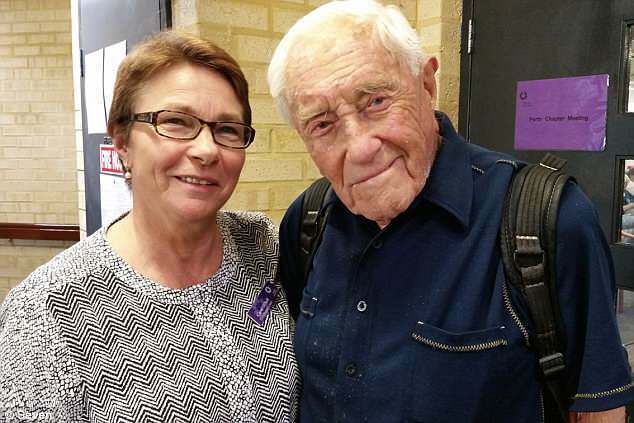 Who is Australia’s oldest scientist David Goodall? Dr Goodall was born in London in 1914, and is an eminent botanist and ecologist. 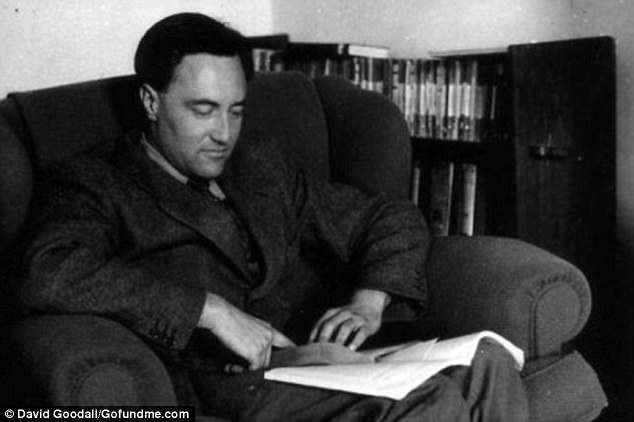 He came to Australia to in 1948, taking up a lecturing position at the University of Melbourne. 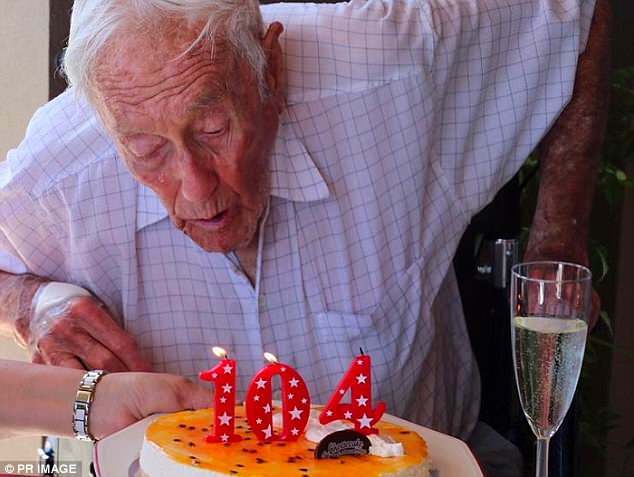 Dr Goodall celebrated his 104th birthday in early April and has since decided it is time to access voluntarily euthanasia in Switzerland.